I asked today that our heavenly guidance would give me the message for some of you out there. This is a message that will resonate with some, and not all of you. Don’t feel discouraged if the message does not fit into your life right now. If it doesn’t fit, don’t try to make it fit, either because that’s when things can get a little messy. But rest assured that if this message isn’t for you today, then that is a sign that there was no message that immediately needed your attention, at least not from me. Today is the last day to order ANY Reading for $5.00 flat! 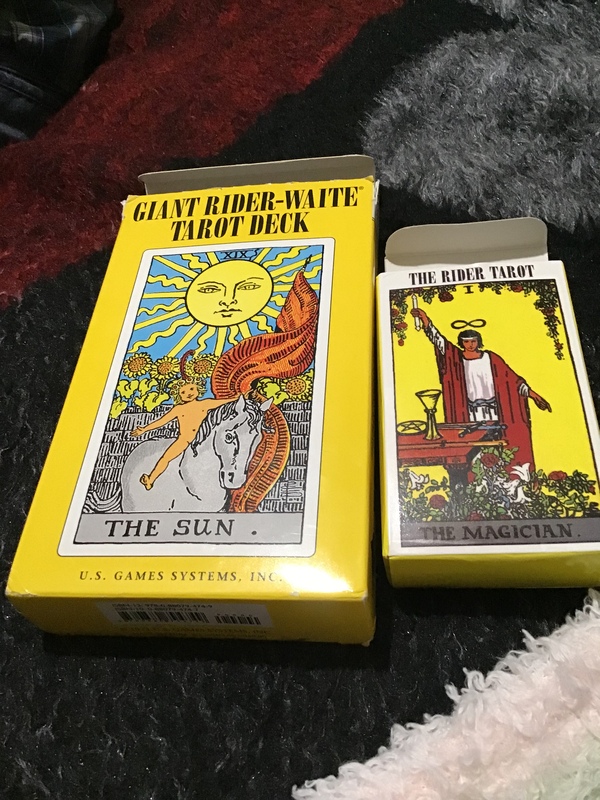 That’s right – you are NOT limited to the Tarot Readings offered here… Go crazy with it and send me ANY spread of your choice. Just don’t forget to attach a picture or a link to the picture of the Spread in your message. Send me your requests right here. The way I see it, for some of you, it looks like you are leaving behind something that you worked very hard on for a long time. Yes, you put in your work, but now you can see that it is no longer worth the effort. You are feeling left out in the cold, and have been for quite some time. With all that being said, I am proud of you. It may be tough right now, but I think you will come to realize that this decision is the one that suits you best. You’ve asked yourself the question, is it worth this much of my energy, to get nothing in return, anymore? And you’ve answered no, which I think serves your self worth better than to continue giving yourself to something that doesn’t appreciate everything that you have to offer. Now, I do sense that for some of you, this is a relationship matter. For some of you, I see that this is more of a thought process, things that have been weighing in your mind heavily, but you have not made that leap yet. And for some of you, I definitely see that you have decided to make that leap, and this will soon be a thing of the recent past for you. The High Priestess is here to confirm that this matter is something that has been weighing heavily on your mind. So heavily that it has been affecting your conscious and subconscious mind, equally. This could be what is responsible for distracting you through out the day and, though The Moon is not here, clouded thinking could have been a result, as well. It will be over soon, once you analyze the situation and come to a clear decision. I say this because the Four of Cups with the High Priestess tells me that you are holding onto this situation, and it is difficult for you to separate yourself from it, at least if not literally, then in your mind. The Clarifier Three of Wands says that all you need to do to let go of this stubborn thought, is take a real, hard look at the entire situation. What has gone down? Who has been shady? Who has shown respect where respect was due? Who hasn’t ? Is this something that you want to still be putting up with for the next years to come? Is this the way you want to always feel? I send you peace, harmony, positive vibrations, serenity, and most importantly, strength, and a clear mind. And I hope that the euphoric sensation of bursting energy of spirit hits you as soon as you read these words. Thanks for reading, I hope you enjoyed the message today. As always, I’d love to read for you, so contact me and we will set up a time that works for you. Next Article Aquarius Tarot Horoscope | April 2019 | A Help or a Hinderance?